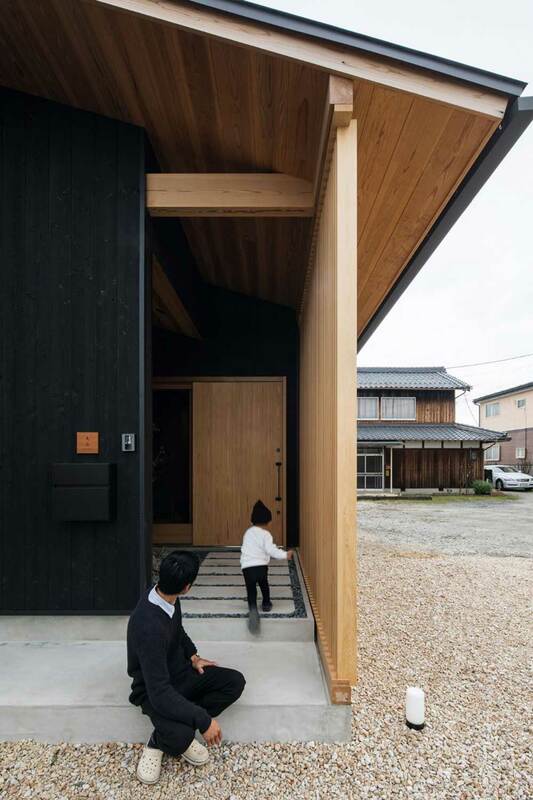 Alt Design Office entrance, Japan. First impressions really do count. The front entrance to your home and the front door itself is a pretty important design detail because it’s the transition into your home from the outside world. Think of it as the gateway into your world, your inner sanctum. Apart from practical elements to be considered such as security and protection from the weather, consider the type of atmosphere and style you want to create as a reception for yourself when you come home as well as for visitors. Front door should always open inwards – welcoming energy into your living space. Entrance should be tidy, uncluttered and clean. Your front door should feel solid and substantial. Don’t have anything behind the door that obstructs it from opening properly. A wooden front door is lovely, however if your door is not made of great wood, paint it an attractive colour. The beginning of the year is a great time to give your front door a fresh lick of paint to reinvigorate the look of your whole house. A hit of nature placed near your entrance-way will immediately invoke a sense of warmth and lifeforce to your home. You could keep it simple with an evergreen shrub or get creative and try out different groupings of plants mixing textures of foliage. Try a matching pair of plants and pots if that’s your style or have one really large plant in an statement container with a nice underplanting of something else spilling over the edge. 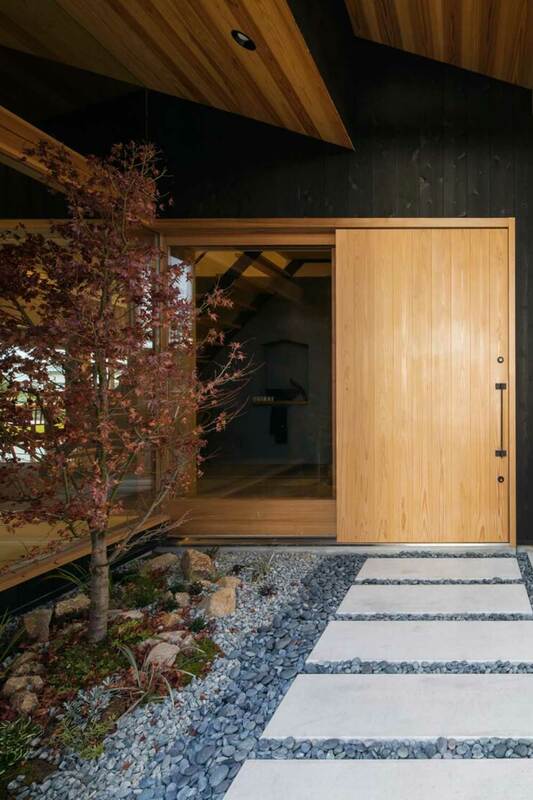 Here’s an example of considered approach to the front entrance of a house by our Japanese friends at Alt Design. It’s designed to be a mindful transition from the outer realm to the interior, consciously taking nature along, not only through plenty of glazing to keep the visual connection, but also through the natural materials used. The architects wanted a link to the outdoors no matter where you are in the house. A tiled floor extending from the entrance produces a tangible outdoorsy feel being drawn inside the home.